Vancouver residents love having a drink with their dinner. Before long they’ll be able to pick up some wine while they grab the groceries. Starting May 1, new amendments to city bylaws will allow certain grocery stores in the City of Vancouver to apply for a liquor license. This new model does not, however, allow alcohol to be sold straight off the shelf. Instead, an in-store model will be used to sell all alcoholic products at a till in a separate section of the grocery store. So far, the news about the amendments has raised some concern from citizens who fear an increase in alcoholism and underage drinking. Other critics believe that the change to the bylaws will only cater to people above the age of 19 who can already buy alcohol legally, but who simply don’t want to take a trip down to the liquor store for their purchases. While the easy access to alcohol may seem like it could cause drinking problems, these assumptions are not backed up by any definitive proof. Claims like this should be assessed and studied in cities where alcohol is already being sold in grocery stores in order to get a clearer idea of the connection between the rate of alcoholism and the privatization of liquor sales. Such concerns can also be addressed by having vigilant and careful employees working in the liquor section of the store. Holding grocers to a high standard of service and bylaw enforcement should allow the products to be sold without an issue. To further dispel concerns about underage or excessive drinking, grocery stores within a kilometer of a liquor store will not be allowed to sell alcohol. 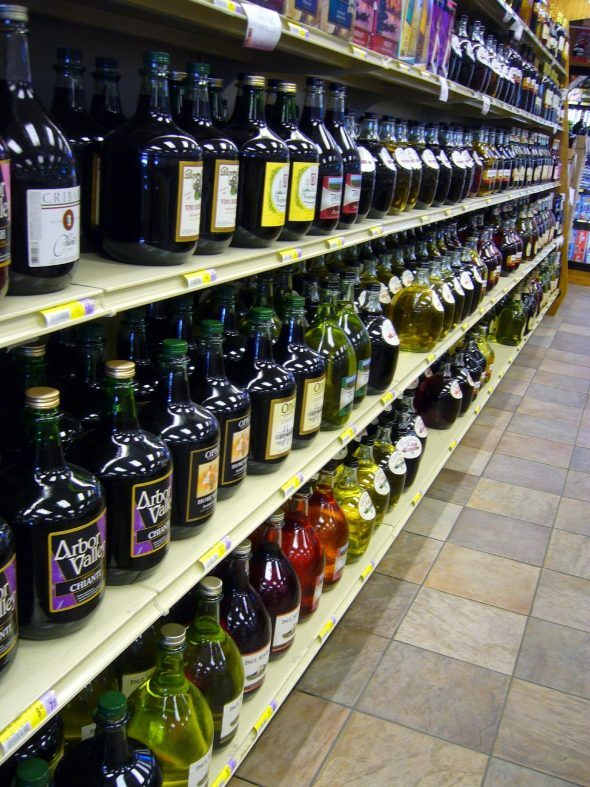 There are also several other strict bylaws that limit which stores can get liquor permits. Vancouver’s new bylaws are actually changing the rules to be more aligned with the bylaws set by the province, as the city previously had much more stringent rules regarding the selling of liquor compared to other municipalities in the Lower Mainland. Cities like Surrey and Abbotsford have been allowing off-the-shelf wine sales in grocery stores for a long time, though hard liquor still can’t be sold off the shelf anywhere in B.C. The bylaw amendments will likely be a positive change for the city. Residents will have an easier time buying their wine and groceries, and concerns about easy access to the alcohol can be addressed and evaluated a few months after liquor has been made available in grocery stores across Vancouver.